Husker Roofing is a well-known and respected roofing contractor that focuses on roof, siding, and gutter replacement with over 40 years of experience. 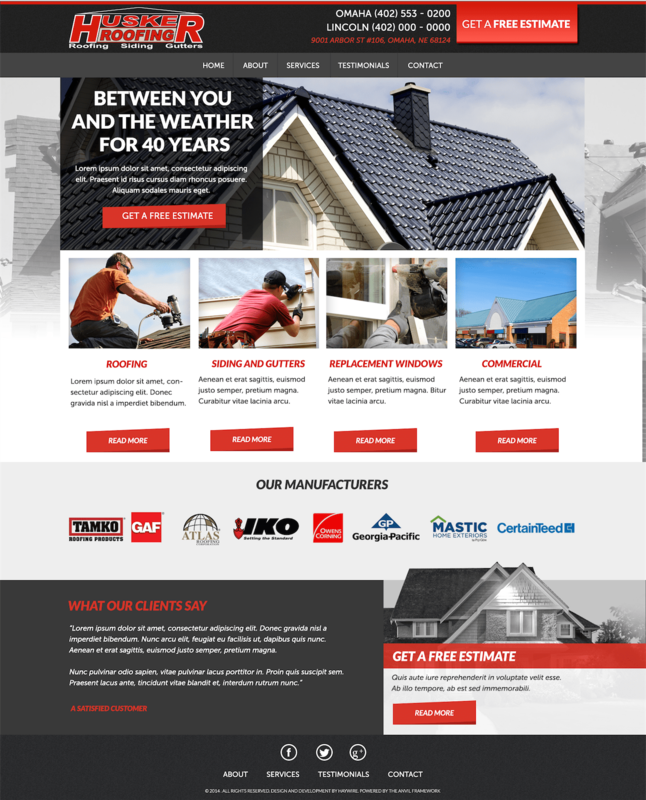 Husker Roofing called us right before the start of tornado season knowing they needed a fresh, updated site that incorporated responsive design and would be easy to manage. We wanted to understand the type of user that would use their site along with the information they would find relevant. Our work was cut out for us and we were ready to learn about the roofing industry. We polished off their logo a bit and went to work on understanding the roofing industry. This included learning about the industry as a whole, positive/negative stereotypes, and to understand what make Husker Roofing different and better than their competitors. Through our time spent with them and researching, it was clear that we needed to keep the logo front in center of the design because it was such a recognizable business. We incorporated the colors and layouts that would really highlight the business and ultimately guide the user to make contact with Husker Roofing. 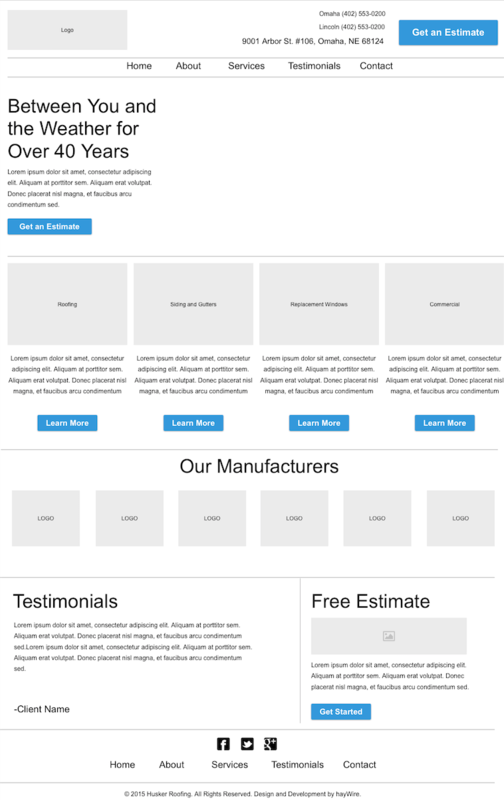 Our next challenge was to incorporate their top selling points by building it seamlessly into the copy of the site. We wanted to keep the tone conversational, trustworthy, with professional undertones. In the end, we delivered a site that was true to the personality and brand of the company. If you need roofing work done, these guys will take good care of you! Freedom Healthcare Staffing takes pride in helping you find the traveling healthcare job you’ve been looking for. Thien Farm Management is a family-owned and operated Farm Management company. Lutheran Family Services operates in and around Nebraska to provide services to children and families.